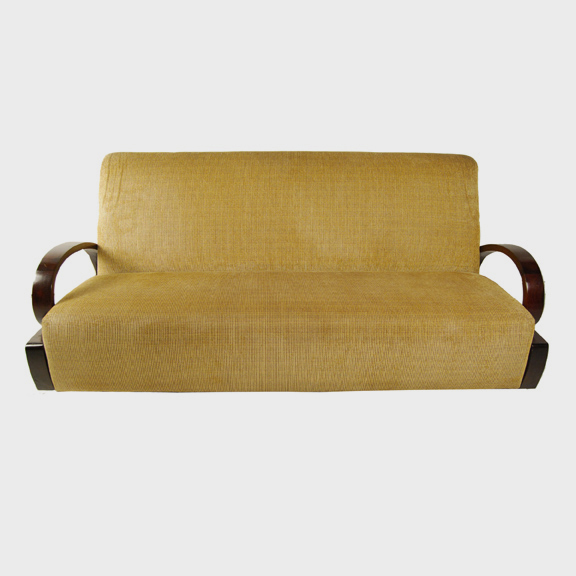 W: 72.0" D: 29.0" H: 32.0"
In 1930’s Shanghai, China was swept up in the Art Deco design movement. 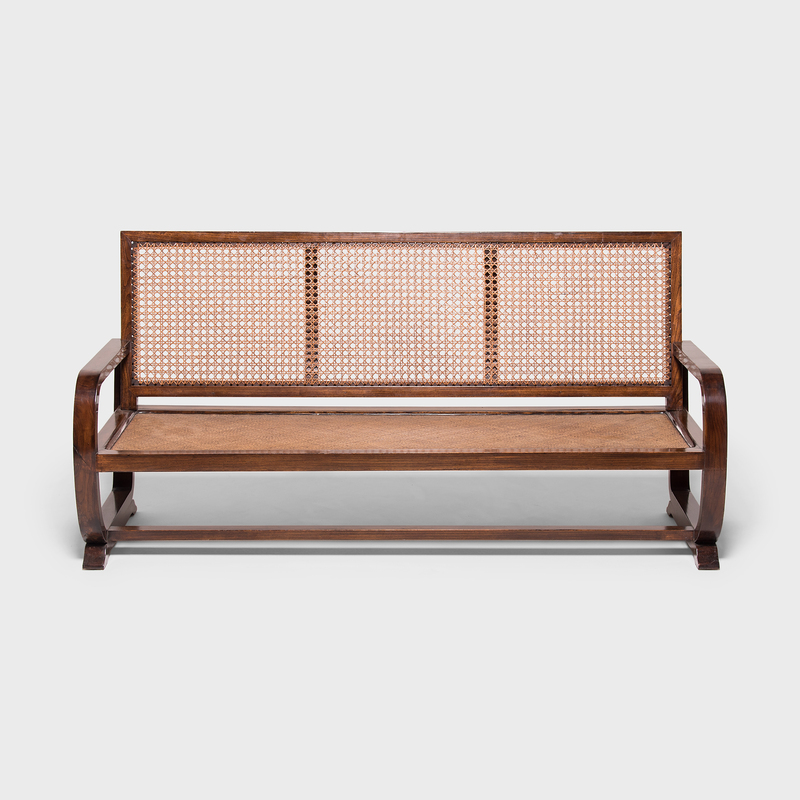 Design, architecture, art, fashion, and furniture were all influenced by this modern movement that permeated every part of life in this bustling, vibrant city. 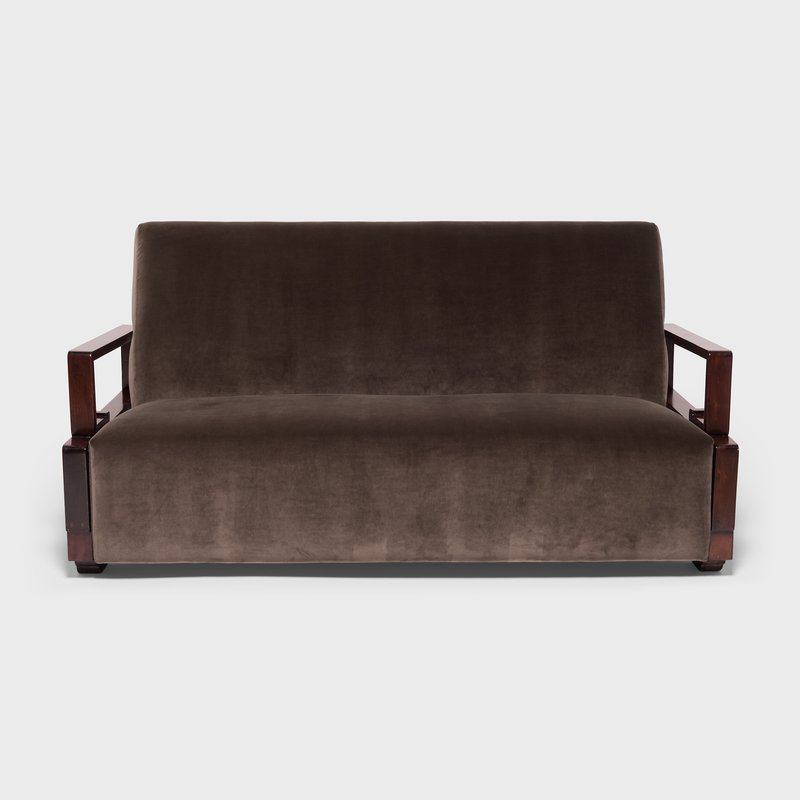 This stylized club sofa is a product of that time and exemplifies the qualities that make Art Deco so sought after: simple lines, striking colors, and bold geometric shapes that remain timeless. 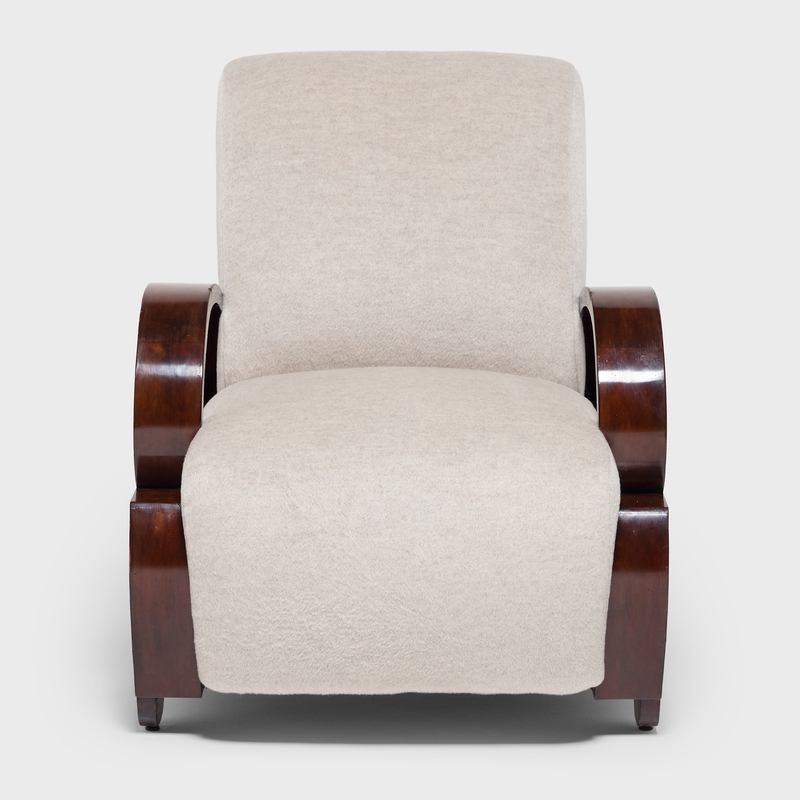 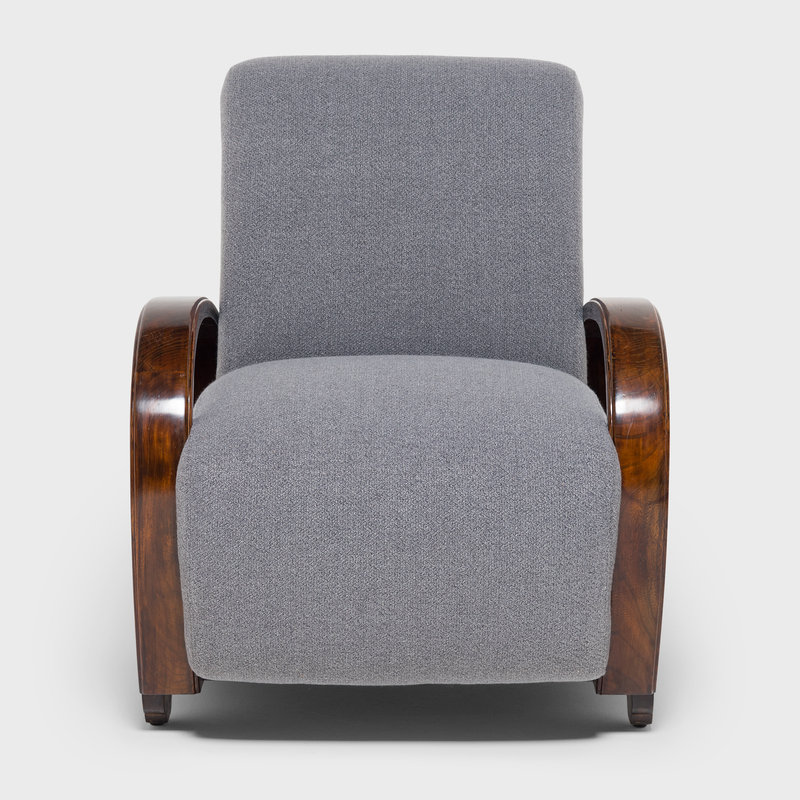 Recently reupholstered in microsuede, this three-seater offers a comfortable seat with a sleek exterior.